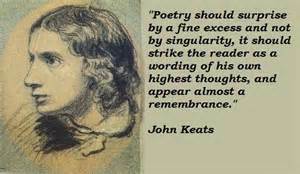 John Keats was the eldest of five children born to a lower-middle class family in London. When his father fell off a horse and died, he left a large inheritance which John didn’t receive. His mother remarried, but the five children were sent to live with her parents. She joined them when the marriage failed. She died in 1810 and her parents died in 1814. 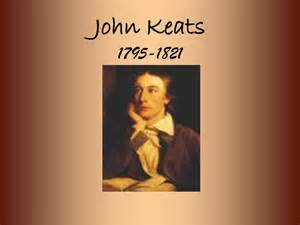 Keats and his siblings didn’t receive their inheritance due to a dishonest guardian. John apprenticed with a surgeon in 1811 until 1814. While working in a London hospital as a junior apothecary and surgeon in charge of dressing wounds, he met Leigh Hunt, a poet and author and became friends with Percy Bysshe Shelley. 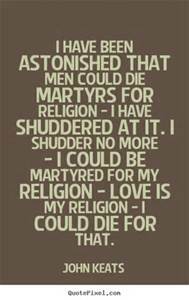 They encouraged him to write poetry and he was 18 when he wrote his first poem. 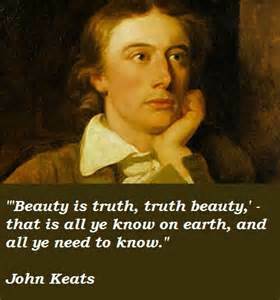 His first book, Poems, appeared in 1817.